Mike Perusich: Hi, everybody. I'm Mike Perusich, Dave Kats and Patrick Hammond with Kats Consultants, what do you guys want to talk about today? Patrick Hammond: How about we talk about multiple appointment scheduling because they may do that in their practice. Mike: That's a really good one. You know, we do that not only with our active treatment patients but our maintenance patients as well. David, how about you? David Kats: We don't do the maintenance patients. We don't put them on a yearly schedule, but we schedule every single person for the advanced multiple schedule. There will be people that you talk to doctors and staff that say it won't work in this area. They'll give you the reason why. They'll say, "Well, we have too many blue-collar workers and they were swing shifter. We have too many white-collar people and they fly out of the country or we have coal miners and they don't know when they're going to get out of the mine." The truth of the matter is if you own the concept, you're going to be able to schedule. Mike: Well, those doctors that say that it doesn't work in their area or it doesn't work in their practice, typically, they have the highest dropout rates too. That's one thing that advanced multiple scheduling does is it creates patients who are compliant with their treatment plan. Patrick: Right. When I first started in practice, that's what really made my practice take that next step to the next level. I was just treating them through. When they got out of the pain, I was pretty much done with them and then we got the concept of advanced multiple scheduling. We'd book them out, got them set up. Not only did my patients got but my patients also got better. They stayed better longer, and my referrals also went up just based off that alone. Mike: Patients that get better are happier patients who will stay, pay, and refer other patients into your practice. Mike: Advanced multiple scheduling just works. David: Yes. The most common thing I've heard over the years in teaching and advanced multiple scheduling, if you give a written report of findings and follow it that same day with the advanced multiple scheduling, the most common thing I hear from clients is, "My practice went up above 30% and it never went back down." That's almost across the board what you're going to hear from patients. If you aren't giving a written report of findings and if you're not advance multiple scheduling your patients, you're missing about a third of your practice. Mike: That's right. 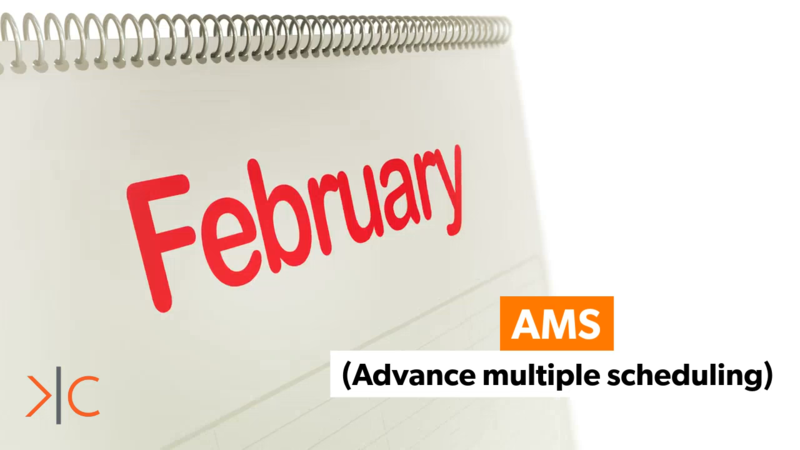 If you have high dropout rates and low retention rates in your practice, take a look at advanced multiple scheduling procedures and you may need to tighten that up a little bit because that's probably where the gap is in your practice. Mike: Excellent. Good conversation, guys. I'm Mike Perusich, Dave Kats and Patrick Hammond with Kats Consultants. Thanks for listening. Get our FREE Weekly Video Tips and other Great offers. Join the Weekly Video Tip emailed out every Monday.